To celebrate the Easter, the free version of Angry Birds Seasons has been upgraded with a new Easter theme and golden eggs. Angry Birds is one of the most popular games which have been developed by Finland-based Rovio Mobile. The games features challenging physics-based demolition gameplay and lots of replay value that requires logic, skill and brute force to crush the enemy. 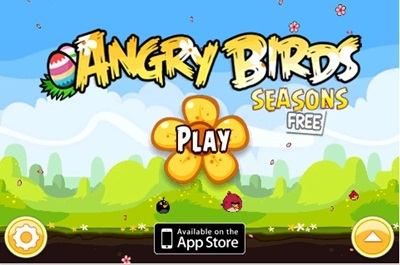 The latest version of in Angry Birds Seasons Free has been featured with a new theme full of spring, 3 new levels and new golden egg. The Angry Birds Sessions Free works well in iPhone, iPod Touch and iPad with iOS 4 or later (credit lisa). Those IOS users who interested to try out the latest version of Angry Birds Sessions Free version 1.4, can download for their IOS devices from App Store. The limited levels version is the only few choices you can get on iOS platforms, as iOS does not free full version available.